Here is an easy recipe, packed with good flavor and loaded with good nutrients and a good choice for cleansing! Asparagus is high in glutathione, an anti-carcinogen as well as a potent antioxidant. Glutathione makes asparagus a great cleanser for the body! Asparagus contains a unique carbohydrate called inulin which promotes the growth and activity of these friendly bacteria in the intestines. Wash the asparagus and pat dry. Add enough of the olive oil to coat the asparagus. Place the asparagus in a single layer on a cookie sheet, season with salt. Bake until tender or crunchy depending upon your own personal preference, about 12 to 20 minutes. Short cuts: You can make 2 pounds and save one pound for tomorrow’s lunch salad topper or you can prep the asparagus with oil and have it ready in the fridge to go into the oven tomorrow. If you get into the habit of spending 5 to 15 minutes prepping tonight for tomorrow’s dinner (or lunch) you will be setting yourself up for habits of preparing more whole foods! Easy way to trim the asparagus is to hold one stalk in your hand with one end pinched at the bottom of the stalk. Snap the stalk from the bottom and it will break in just the right spot, where it is no longer woody. Save the ends for stock. 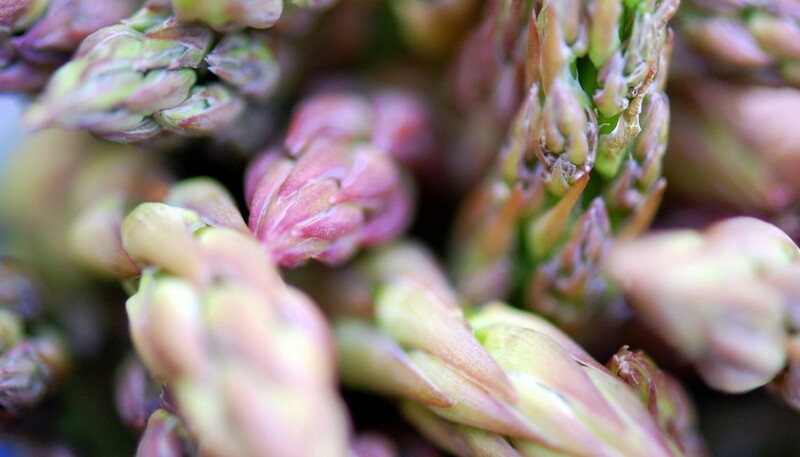 Many cultures consider asparagus an aphrodisiac. Try it! *We recommend you download the Environmental Working Group Shopper’s Guide to Pesticides in Produce. EWG analyzed pesticide tests of 48 popular produce items.